Technically speaking a muscle car is a V8 equipped vehicle designed for straight line speed with little to no regard to other considerations such as handling or stopping distance. Culturally speaking, muscle cars were a testament to the madness of pure unbridled testosterone. While the idea of a muscle car seems to fit perfectly in American history, the reality is they were almost unimaginable ten years earlier. It took the combination of veterans returning from World War II and a nascent car modification culture to set in motion their creation. The culture around modification began in the 1920s with the moonshine producers. See when Scottish and Irish immigrants decided to move to Appalachia they brought with them generations of Whiskey making knowledge. Couple that with the relatively fertile land in Appalachia, and you have the roots of American Moonshine. Come prohibition era, these moonshiners found themselves in great demand. The high alcohol content and underground production meant that crates could easily be exported to cities for the masses. Of course like all good things, Federal Agents caught on and tried to put an end to the alcohol. By targeting the runners who transported the alcohol, the police figured they could easily put an end to the business. But they were wrong. In order to avoid getting caught, the runners began stealthily modifying their cars so at the first sign of trouble they could hightail out of there. And these illegal roots were really the foundation for the white knuckle, testosterone based muscle cars that would follow 50 years later. Cut to the end of World War II. Returning veterans from the war had gained a significant amount of technical knowledge while fighting, allowing many of them to work on cars with relative ease. Couple that with a huge increase in driving as everyone moved out of the cities in search of their one acre and a white picket fence, and an explosion in car enthusiasm was all but assured. And as promised, by the 1950s motorsports was the next big thing. Drag racing, NASCAR and hot rods became immensely popular. As these events grew in size it became clear that the winning car in races would generally sell better than other models. Pretty soon, a feedback loop was created where manufacturers designed successively faster cars so they could win and out-sell the competition. It began a constant cycle of more power, more engine, more V8. What was this all driven by? Dads. Men in established households saw these cars on TV and said “We have the money and I’m the one making the decision. We need this.” Automakers realizing this, began to focus aggressively on men. Engine sizes grew from 265 cubic inches in 1955 to 455 cubic inches by 1971. Front grilles became more in your face and the V8 motors were designed with intentional menacing rumbles. In addition, the cars prominently displayed the size of their unseen parts just to make sure that everyone knew what was under the hood. Even the interiors were catered to men. Plastics weren’t used much since plastics of that era were too fragile. Nope. These were good old American machines of iron and steel. 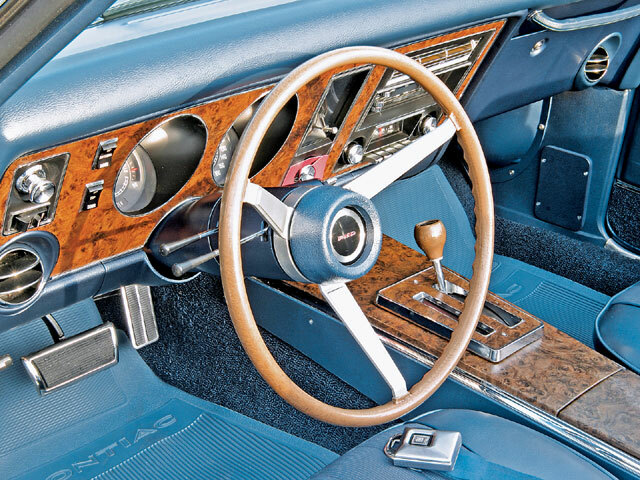 Interiors had dashboards that, while entirely impractical, reached actual feet towards you, so you could adopt the one hand on the steering wheel with reclined seat position better. Unfortunately, as before, all good things must come to an end. And the end this time came as The Clean Air Act. The next year in 1970 the government expanded The Clean Air Act and the emissions regulations foisted upon car makers killed the muscle car. The mandate to reduce pollutants meant that those massive engines couldn’t produce as much power as they could before. The next 20 years saw successive, even more stringent emissions regulations, leaving automakers scrambling to try their best to produce cars with even adequate power. However, the effective destruction of muscle car culture left the door wide open for JDM culture to arrive in the 90s.